Providing the best & most conservative option to meet your needs. White filling material called composite resin is used to re-create the shape and color of natural looking teeth. In other words, it is used to restore broken or chipped teeth and to re-contour or re-color your smile. You may be a candidate for this procedure if you have chipped or cracked teeth, small gaps, discolored teeth or uneven teeth. It usually requires a single visit to do the required treatment. Composite fillings are used by Primecare Dental as they are strong and more attractive. Another advantage of a composite filling is that the material used can help insulate the tooth from major temperature changes. Crowns are used as a functional option to treat teeth that have been compromised due to decay, previous root canal therapy or natural aging. Crowns provide strength, durability and stability and prolong the life of natural teeth. Crowns are also used in cosmetic dental treatments where broken, chipped or stained teeth are crowned to improve the appearance of one's smile. The shape of the teeth can be modified by placing a custom-made crown over irregular shaped teeth. Crowns can be placed on both front and back teeth. 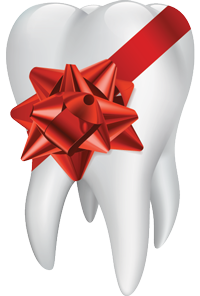 A crown is a hollow cap that fits over a specially prepared tooth and is cemented in place. Crowns are usually made from porcelain, porcelain on a metal backing or a reinforced plastic and gold. Gold is a good option where extra strength is needed and is often used on back teeth where visibility of the crown is reduced. Crown treatments consist of two appointments. At the first appointment the tooth is prepared for the crown, impressions are taken and a temporary crown is placed over the prepared tooth. At the second visit the custom-made crown is cemented in place. Primecare Dental takes particular care ensuring that each and every crown is a perfect fit using only high quality materials and experienced technicians. Our highly trained and qualified laboratory team will hand-craft every porcelain crown. Porcelain veneers are the most commonly used method to correct dental imperfections such as discoloration, badly aligned or misshaped teeth. They are also used to close gaps between teeth. Veneers can be used in cases where orthodontics (braces) are deemed unsuitable or after orthodontics if you are not fully satisfied with the result. Our veneers can be paper-thin and is bonded onto the front teeth, meaning that significant removal of natural tooth structure is not necessary. If the tooth being treated is strong and healthy and the treatment is primarily cosmetic, a veneer can be a more conservative treatment option than a crown. Our state-of-the-art veneers can allow more translucency when bonded onto your teeth resulting in a more natural and attractive appearance. With results like these it is easy to understand how veneers have become extremely popular both in New Zealand and worldwide. Veneer treatments consist of two appointments. At the first appointment the tooth or teeth is/are prepared and an impression is taken. This allows the dental ceramist/technician to custom-make each veneer. At the second appointment the veneers are bonded to the teeth. 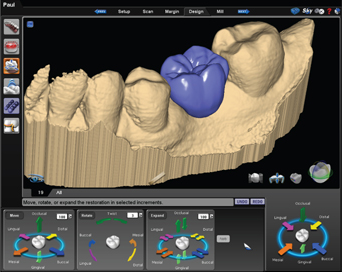 With 3-D digital planned dental implants, dentists can plan an implant virtually and then accurately, predictably and efficiently place the implant in the safest manner in line with today’s technological limits. To perform 3-D guided implant surgery at a high-level, two very new and technologically advanced machinery is necessary: a Cone-Beam CT (CBCT) and an intra-oral Scanner. Both of which can be found at our clinic! Dental implants are made from an artificial titanium root that is planted in the jawbone to replace a missing tooth or multiple teeth. Due to its biocompatibility, your bone reacts well to the titanium surface of the implant. Once this titanium implant bonds with the bone, a crown can be used to mimic your natural tooth. It has gums all around it just like an ordinary tooth. Dental implants are the latest technology currently available as it is the best option for natural looking and feeling teeth by artificial methods. In the past, we used to place bridges to fill the gap when one or more teeth were missing. One of the major disadvantages of this was that you had to have the adjacent teeth involved to accommodate the new tooth/teeth. Our approach to this problem has now changed. Dental implants can be used to replace a single tooth or multiple teeth and they can also support and retain those wobbly dentures. Have you ever bought a whitening toothpaste from your local supermarket and never been satisfied with the result? Then look no further. We offer professional teeth whitening which is performed in the surgery under a dentist’s or hygienist's supervision. At the completion of the treatment, you will walk out of the office with a dazzling new smile in just over an hour. This "in-office" whitening is ideal for anyone looking for an immediate result. In contrast, the "at-home" teeth whitening method refers to an unsupervised technique. Teeth whitening material and instructions are provided so that you can achieve the same result at your own pace. To start the process an impression is taken and an ultra thin guard (similar to a mouth guard) is made. This guard is made specifically for each patient. Whitening gel is then placed in the guard and then the guard is worn over the teeth. The teeth will be whitened safely and conveniently typically over a period of two weeks or so. How will your teeth respond? It will depend on the cause of the discoloration. For example, certain medications such as tetracycline may permanently discolour your teeth. In such a case, you may require several whitening sessions or consider porcelain veneers or perhaps dental bonding. How long does it last? Any substances that can discolor your white clothes will leave stains on your teeth – i.e. tea, coffee, coke, red wine and smoking. Some medications will also cause discoloration of your teeth. It is important to understand that not all teeth will respond to whitening. So talk to us about whether you are a good candidate and what type of procedure might work for your teeth. Dental occlusion refers to the way your teeth meet when you bite together. 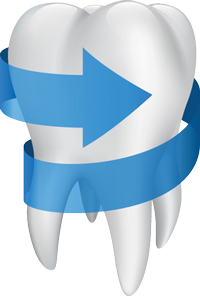 All teeth should come in contact with one another simultaneously with minimal force. When this does not happen, your occlusion is unbalanced and problems may result. Neck and jaw pain causing difficulty in chewing. Ask us if an occlusal exam with T-Scan is right for you. A full mouth rejuvenation (or rehabilitation) is required when there are multiple broken or missing teeth. This may involve crowns, veneers, implants and bridges. If you have the following, you may need full mouth rejuvenation. 1. Grinding or clenching of the teeth. This is the most common reason for needing full mouth rejuvenation. You may have several broken/chipped teeth with or without pain in the jaws, face and teeth. 2. Poor cosmetic dentistry. Unfortunately, not all cosmetic dentistry leads to a better smile. Your front teeth may exhibit discolouration or have discoloured fillings. During the initial visit, we will examine and evaluate your bite with a highly sophisticated computer system (T-SCAN) in order to eliminate any errors which may compromise the outcome. If you have always wanted an aesthetically pleasing smile with natural functional teeth then full mouth rejuvenation is the answer for you. Today's Dentistry is a far cry from years past. Patients today don’t want to settle for obvious silver fillings because there are treatment options available that make your teeth look just as beautiful as—if not better than—the way they were. What’s more, many patients can be treated today without the use of metal while still conserving natural tooth structure, all thanks to the minimally-invasive techniques designed to help preserve natural dentin—an important part of healthy, strong teeth. This is why we've invested in the E4D technology which enables us to provide tooth friendly restorations in a single visit. With modern, state-of-the-art Single Visit E4D Dentistry, patients don’t need to suffer through traditional impressions. They don’t need temporaries. And they don’t need to wait days—or more likely weeks—for their permanent restorations. This also means that they won’t have to be inconvenienced by the back-and-forth dental visits typically associated with crowns, veneers and some types of fillings. Single visit ceramic restorations also mean fewer injections, less drilling, and less time out of your hectic schedule for dental treatment! When to use this E4D technology? Ask us if this Same Day Dentistry is right for you! It is important to have regular dental visits to maintain a bright and healthy smile. A regular professional clean will help to improve and maintain the oral health by eliminating harmful bacteria. We will find any potential problems at its early stages and provide preventative dental care. This is quite frankly much better than emergency treatment and more economical too! Primecare Dental promotes regular dental exams for both children and adults. Regular exams can detect problems which may lead to serious dental work being needed if left unattended. Such examples include root canal treatments, extractions and crowns. Starting children early on a regular dental exam program helps to create a good lifelong habit of caring for their teeth. Preventive dentistry is much more conservative and cost effective, and promotes better overall health and wellbeing. We offer the latest in digital X-rays. It is routinely used to help diagnose early decay, abscesses and periodontal problems. It also allows for informed decisions to be made regarding possible dental treatment. A full mouth panoramic X-ray is required for the removal of wisdom teeth, monitoring bone loss, in preparation for orthodontic braces and in oral pathology (for example, cysts, cancer, etc). Regular visits to a dental hygienist are essential for good oral health. Oral health is dependent on the condition of your gums which hold your teeth in place. Calculus and plaque build up on teeth around the gum area cause gum disease and tooth decay. Regular removal of stains, calculus and plaque will prolong the life of your natural teeth and minimise the need for fillings, while also maintaining gum health. Maintaining the health of your gums also helps with heart disease, diabetes, pregnancy, bad breath and dry mouth syndrome. Our dental hygienist is fully qualified and considered an essential part of our dental practice. Oral hygiene instruction, the application of concentrated fluoride, periodontal condition charting, assisting in the preparation and delivery of whitening trays and diet instruction are just a few of the extra services our hygienist is able to help you with when you come to Primecare Dental. Periodontal disease is the most common cause of tooth loss. It can develop into an advanced stage without showing any obvious signs, ultimately causing your teeth to wobble or to become painful. It was once thought that periodontal disease (Periodontitis) was limited in the oral cavity, however, research is beginning to uncover their wide reaching effects on our overall health. What researchers have discovered is that periodontal disease increases the risk for cardiovascular disease, strokes and diabetes. If the condition is known earlier, dentists and medical doctors may be able to work closely together when managing patients with the above conditions. Successful periodontal treatment requires full cooperation from the patient themselves. Maintenance of good oral hygiene is essential. Studies have shown that lack of compliance and poor oral hygiene status will result in a relapse of the disease. Bleeding, swelling and red gums should not be ignored as the problem will not go away. At Primecare Dental we utilize Laser therapy to treat gum disease without surgery, and with incredible results! Even if you don't have gum disease, we will teach you the simple and effective at-home techniques to keep your gums stay healthy for life. At Primecare Dental, we can perform many traditional dental procedures with fewer injections and less anaesthesia. This means a new level of comfort and satisfaction for the entire family. HydroPhotonics Water and laser technology that is less traumatic than the drill. Disinfection - it sterilizes the tooth as it removes decay. Many of you must have had to get your old fillings replaced due to the recurrence of decay under those fillings. Since the laser sterilizes the tooth as it removes decay, the chances of ever having recurrent decay under that new filling are much lower! Efficiency- procedures that once took several appointments to complete, such as multiple fillings and gum treatment can now be finished in just one visit. Conservative Dentistry – vibration from dental drills routinely causes micro-cracks in enamel. Over the years, these small cracks can propagate deep into the tooth, resulting in crowns and often root canal treatment. Waterlase does not create these cracks, reducing the potential for cracked teeth. Comfort - our patients experience less post-operative discomfort & require less pain medication. It is now possible to have a completely comfortable dental visit with no drills and no pain because of Laser Dentistry. Many fillings can now be done using the Waterlase Laser. Don't you wish they'd had this laser when we were kids? Root Canal Therapy is performed on teeth that are badly damaged due to decay, gum disease or injury that would otherwise have to be extracted. Most people choose to save their teeth because natural teeth can function better than artificial teeth. Natural teeth are stronger, more efficient for biting and chewing and easier to keep clean. Root Canal Therapy usually consists of two appointments spaced two weeks apart. In the first visit the inflamed or infected pulp is removed and the root canals are cleaned, enlarged and shaped. At this visit it is most likely that anti-inflammatory and anti-bacterial medicines will be put inside the root canal. A temporary filling protects the inside of the tooth until the following visit. At the second visit the root canals are filled and the tooth restored. In most cases, a crown is placed over the tooth to prevent fracture, splitting of the root and any leakage of the filling. We provide a reassuring environment should the extraction of teeth be necessary. Teeth are most often extracted in preparation for a bridge, implant, full or partial denture, when a tooth is beyond repair, or in preparation for orthodontic work. Wisdom teeth can also be extracted at any age should this become necessary. Accidents happen. And most likely it’ll happen at the worst possible time. Every effort is made to accommodate patients who have been involved in an accident or who are experiencing severe dental pain. Primecare Dental reserves two emergency appointment slots for those who are in need of urgent dental care on the day. 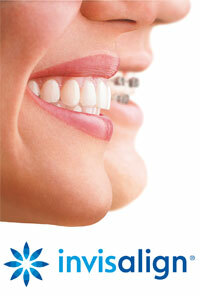 Orthodontic treatment (braces) involves straightening and realigning crooked or spaced teeth. Braces are beneficial not only because it creates better aesthetics but also because it allows for better harmony of the oral structures. Crowded teeth can cause more bacterial build up leading to dental decay and gum disease. Misalignment of teeth can lead to pain or discomfort in the jaws, headaches and even impairment of speech. In the past, orthodontics was only considered for kids. Now they are widely prescribed for adults too. If you want a perfect smile that will improve your self-confidence, orthodontic treatment may be just right for you. If you need braces to straighten your teeth, but is not keen on wearing a mouthful of metal brackets and wires, then you should consider getting Invisalign - an alternative to the conventional metal braces. Invisalign uses one of the most advanced technologies developed to straighten teeth, utilising a custom-made series of aligners created specifically for you. These removable plastic aligners are virtually invisible and all you have to do is wear them over your teeth. There are no metal brackets and no wires to tighten. Therefore Invisalign helps you to achieve a great smile with little interference to your daily life. The best part is that most people won’t know you are wearing braces! 1. Simply call us to set up a consultation so that we can discuss what will work best for you. 2. Your specific treatment plan is created. 3. Invisalign aligners will be ready in approximately 4-6 weeks. To see if Invisalign is suitable for you, contact us to schedule your complimentary consultation. Look your best during treatment! Primecare Dental Smartphone Application is now available for iPhone and Android devices. Please download for special offers, directions and much more.